Former MTRCB Board member and Political consultant Mike Acebedo Lopez has recently took to Facebook to express his frustration towards Rappler founder and CEO, Maria Ressa, for a tweet she made about revisionism in the issue of the 2016 alleged election fraud. 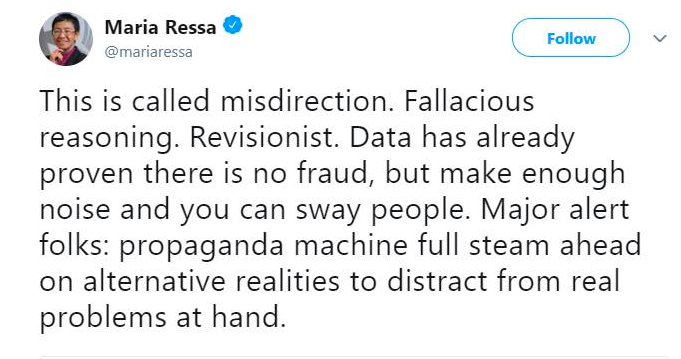 Ressa made a tweet calling out people in support of candidate Ferdinand “Bongbong” Marcos for creating alternative realities and insisting on his vice presidency amidst “data already proved that there is no fraud”. "This is called misdirection. Fallacious reasoning. Revisionist. Data has already proven there is no fraud, but make enough noise and you can sway away people. Major alert folks: propaganda machine full steam ahead on alternative realities to distract from real problems at hand," Ressa tweet. Lopez questioned if Ressa was indeed a journalist, saying that Ressa is lying about the accuracy of the data. He said that if what Ressa is saying is true, then there would be no recount in the first place. 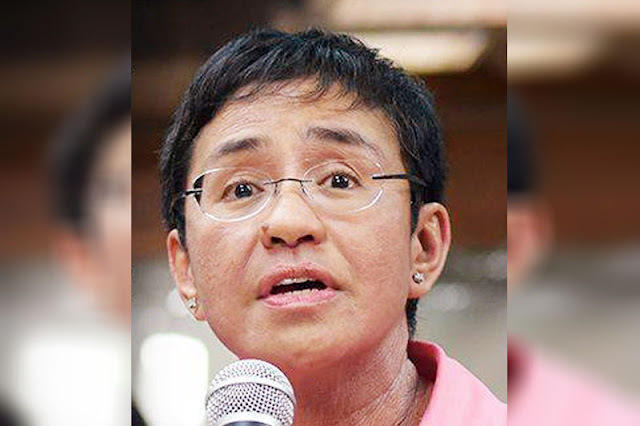 “Tell you what, for any and all concerns, disputes, protests, and issues that need clarification and resolution, please send them all to Ms Ressa who fancies herself the ultimate and final and wisest arbiter of the law,” Lopez said. Lopez is clearly frustrated about Ressa, saying that the media culture in the Philippines will never be fixed because of the attitude of the media people in the country. He says that it is ironic that the people who complain about the culture of impunity in the country are also those who spread it themselves. What is sad, Lopez continues, is that the only thing common folk can do is to call out these people. How is this woman even considered a “journalist?” How brazen this barefaced liar to say “data has already proven there is no fraud” when the Presidential Electoral Tribunal is still in the midst of getting to the bottom of things, meaning not all evidence has been presented to the PET for consideration and judgement. 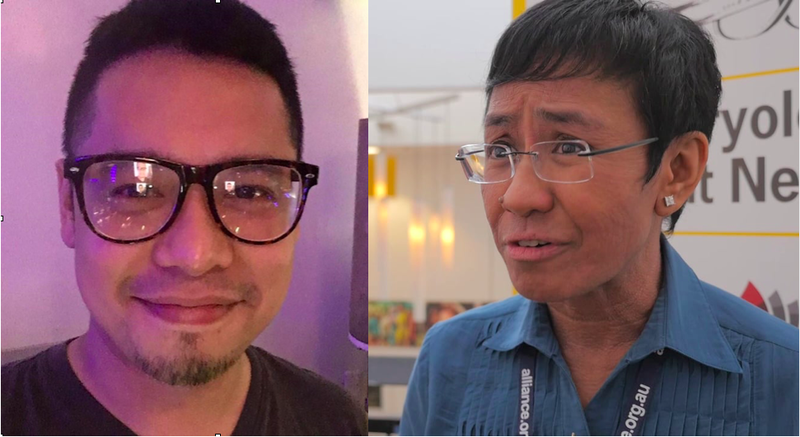 Tell you what, for any and all concerns, disputes, protests, and issues that need clarification and resolution, please send them all to Ms Ressa who fancies herself the ultimate and final and wisest arbiter of the law. Some media people like her complain about the culture of impunity in the Philippines all while they enjoy the very same impunity as their efforts to promote partisan propaganda and outright lies go unchecked. We’re left with little recourse but to name and shame these disgusting mercenaries who’ve betrayed the supposed nobility of their profession. Ressa, pangit ka na nga sa labas, pangit ka pa sa luob. I wonder what your redeeming value is. Sana naman mayroon. But one can only hope."